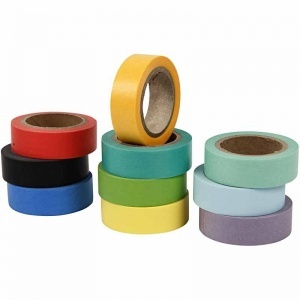 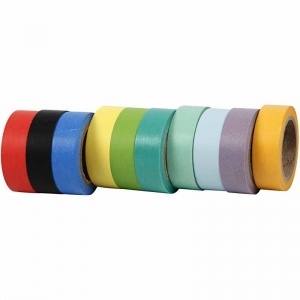 These matt plain coloured washi tapes are 15mm width and 10 metres in length. 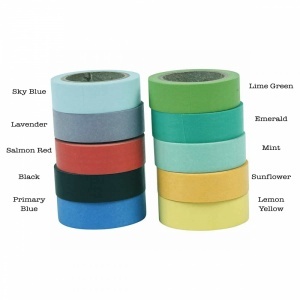 Each pack contains one of each colour - sunflower yellow, lavender, sky blue, mint green, emerald, lime green, lemon yellow, blue, black and salmon red. 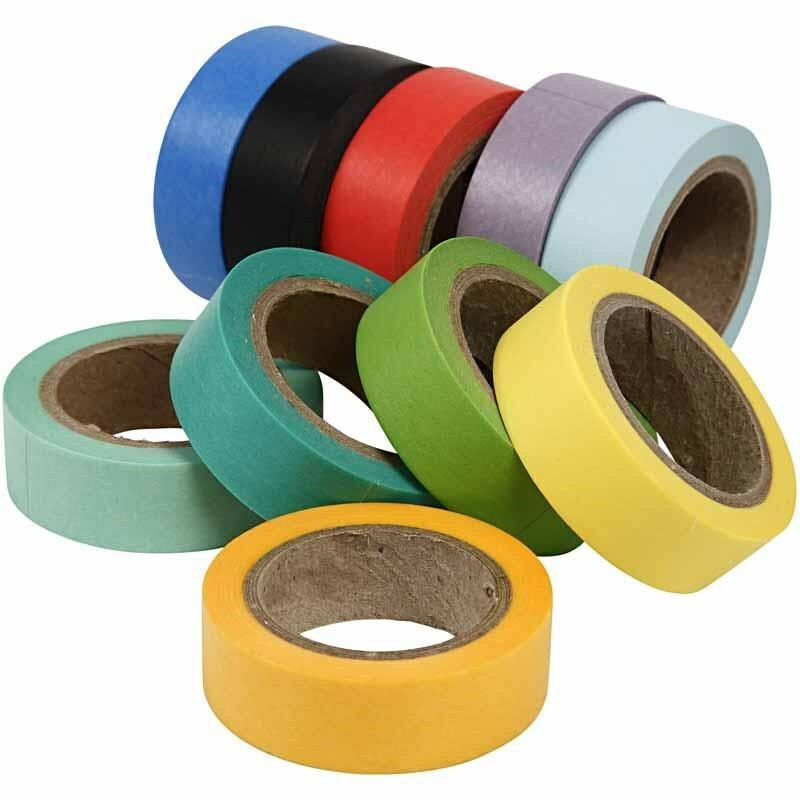 The latest batch came with a citrus green, rather than lime green, which is more yellowy than than the lime green shown.